"Whom sources describe as "absolutely fantastic" leads the clerking team"
Steve began his clerking career as a listing clerk at 5KBW. In 1990, 1 Hare Court (then 1 Mitre Court) merged with 5 KBW to form the set they are now. Has the overall responsibility for the strategic management, development and marketing of all members of chambers. In addition to the day to day clerking duties, he also provides clients with advice on suitable counsel with regard to seniority, suitability and fees at all levels. 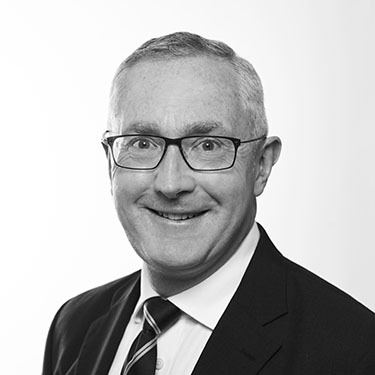 Under Steve’s leadership Chambers has received a number of awards and the clerking services provided are regularly recognised by the two principal legal directories, Chambers and Partners and Legal 500. This was initially highlighted by the clerking team being awarded the inaugural Family Law Clerking team of the year at the 2015 Family Law Awards, but more recently by being awarded the Client Service Set of the Year in 2017 by Chambers and Partners. Married with two sons, one at University and the other following in his dad's footsteps as a barrister's clerk. Hung up his football manager's coat this year after winning the league and cup double to concentrate on watching Spurs do the same. Enjoys watching/playing most sports and now and again can be seen at the theatre.